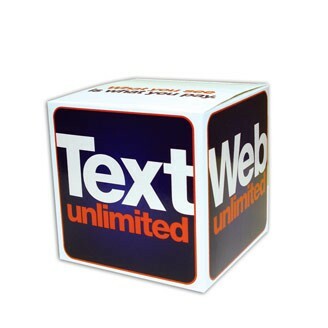 Small cube box is made from high density, 20 pt., white paper board. Liquid laminated for a high gloss finish. Place your name & good wishes in high traffic office areas, where you are guaranteed to make a lasting impression. Holds a coffee mug perfectly or any special handouts. A fun way to package samples and giveaways. Size : 4 1/4"x 4 1/4"x 4 1/4"